Gianna Brassil was raised in San Francisco, California in a multicultural family. Her mother is of Nicaraguan and Peruvian descent and her father is Australian. This diverse heritage and her family’s love of international travel sparked her interest in cultures and languages at a young age. By the time she started high school, Gianna wanted to try living abroad on her own. She learned about NSLI-Y from a Facebook post by a NSLI-Y alumna and was eager to apply. She says that while the application process was straightforward, she felt somewhat overwhelmed at first by the task of explaining her love of the language and culture in a few short essays. Her hard work on her application and essays resulted in her acceptance to the 2014 summer Turkish program. After her NSLI-Y summer experience in Turkey, she then applied and was accepted to the 2015-2016 NSLI-Y academic year program in Turkey. 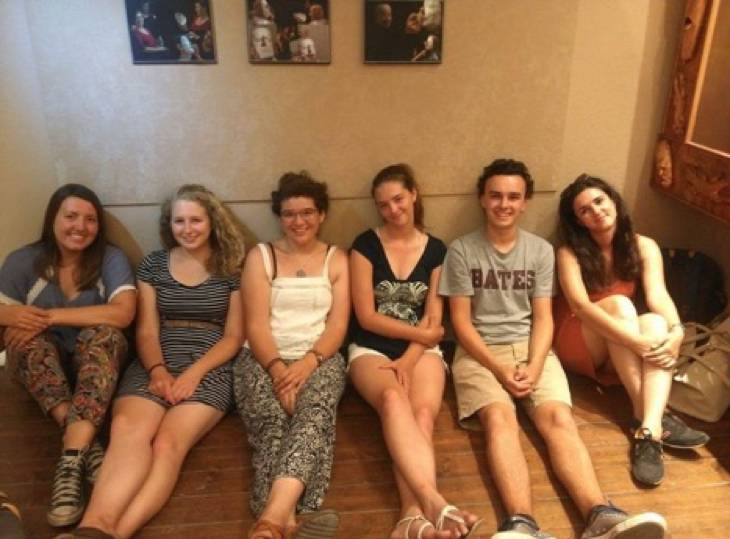 Gianna with her NSLI-Y group at a local museum. 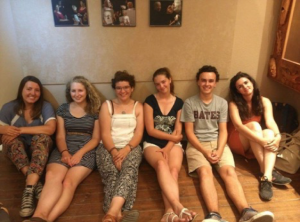 From left to right: Mary, Gracie, Gianna, Krista, Lars, and Cansu (their instructor). 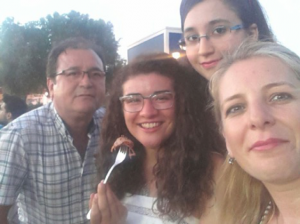 Gianna with her host family. Gianna has continued to study Turkish by reading, listening to Turkish music, writing in her journal in Turkish, and texting her host family and friends from Turkey frequently. She also plans to find Turkish international students at college in the fall and hopes to receive a CLS Scholarship or Boren Award in the future. Her academic plans are to complete her undergraduate degree at Macalester College in International Studies with a minor in Human Rights and Humanitarianism. She then hopes to join the Peace Corps or become a Fulbright Fellow. She sees herself in a career with the Foreign Service or a non-profit focusing on global migration, refugee work, or education.